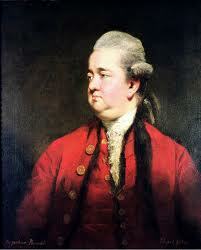 Edward Gibbon was an English historian and Member of Parliament. His most important work, The History of the Decline and Fall of the Roman Empire, was published in six volumes between 1776 and 1788. The Decline and Fall is known for the quality and irony of its prose, its use of primary sources, and its open denigration of organised religion.